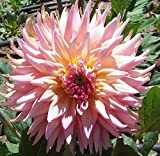 Dahlia versailles growing herbaceous geophyte of the genus Dahlia in group Dahlia cactus, Dahlia versailles perennial deciduous plant that used as ornamental plant and also as cut flower, can grow in subtropics, mediterranean, desert, temperate, tropics climate and grow in hardiness zone of 8-11, if the tubers take outside of the soil it can grow in the winter in hardiness zone of 2-7 and 12+. 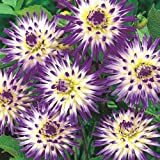 Flower color pink to purple and in the middle is yellowish with multi petals, petal shape is narrow like needle. 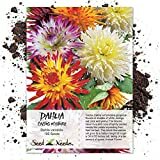 Nuit D' Ete Dinnerplate Cactus Dahlia - 2 Root Clumps - NEW! 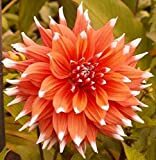 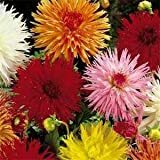 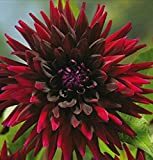 Dahlia color spectacle ( 1 Tuber ) Giant Flowers, Great Cut Flowers !